This is Canada like you've never experienced before - a place where eagles, bears and whales far outnumber people. A relaxing corner of the world where being friendly and out-going is just the natural way to be. 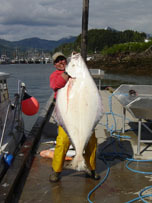 The northern BC coast is a pristine wilderness with rich and productive fishing grounds and spectacular scenery. Remote sandy beaches, abandoned canneries and villages, fishing, golfing, whale watching and city tours are just some of the attractions we have in Prince Rupert, British Columbia, Canada. Given the vast wilderness and our distance from any major population centres it is no wonder that the north coast has some of the best bear and whale watching in North America. In fact, the north coast is home to Canada's only Grizzly bear sanctuary. Prince Rupert is very proud of its colourful past and that prides becomes very apparent when you visit some of the first-class attractions and museums around the city. There are many things to see around our fine city. Daily walking tours around the city or enjoyable harbour tours for everyone. Cruising up and down the coast in a motor or sailing yacht or on board a small pocket-cruise ship is a great option to the traditional Alaskan cruise. The scenery is exceptional, the wildlife abundant, the waters uncrowded, the fishing first-class and the isolated communities are friendly. 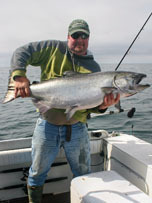 The true north is legendary for producing big salmon and barn door sized halibut, dungeness crabs and many other species. It's truly a sportfishing paradise. Ideally located at the mouth of the Skeena River and the beginning of Chatham Sound, Prince Rupert is the perfect jumping off spot to well known hot spots such as Chatham Sound, work Channel and Dundas Island. 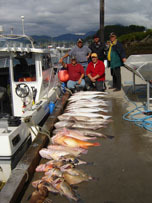 Ask about our Big Catch Charter Special! Looking to play a round of golf? Or just want to practice hitting the balls? Prince Rupert has everything you need for a great game of golf. Prince Rupert if a city full of events. No matter what time of year you visit our city, you will find something fun to do.